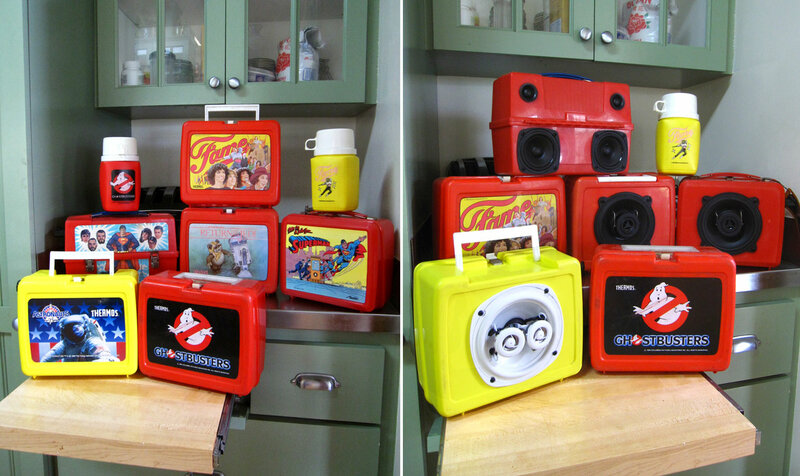 I was sitting at my desk, looking at my quasi-vintage Hot Wheels lunch box I actually have lunch in everyday, and thinking “Wouldn’t that make a cool little boom box?” So I decided to come back to your site and pass on the idea, and BOOM, there they are on the front page. Great minds think alike. Cheers.